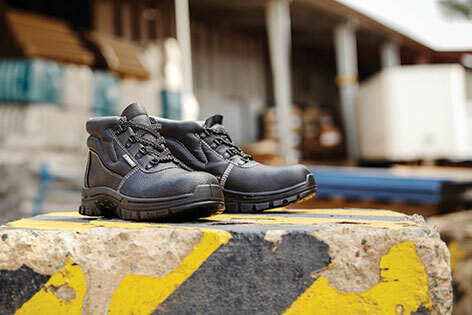 We are Frams - one of South Africa’s original safety footwear brands. We manufacture consistent, economical and reliable safety footwear. Forming part of BBF Safety Group (Pty) Ltd. and based in Johannesburg, South Africa - everything we do at Frams is centered around our customers. We are mindful of the needs and challenges faced by our customers in Africa and to us, value extends beyond price alone. By adopting a flexible approach and building strong relationships we strive to always provide the value required by our customers. Our range of safety footwear is designed for local and international use. Our factory is ISO 9001 certified and all our products are either SANS/ISO 20345 or EN 20345 compliant.